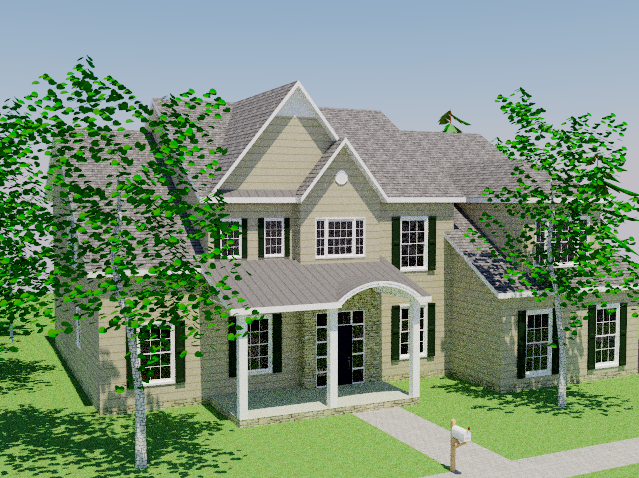 There are so many applications out there that create photorealistic renderings of SketchUp models; it's nearly impossible to know them all. And these apps can vary greatly in price as well as learning curve. I was asked recently to review a very simple renderer for SketchUp called Visualizer, which is a neat little program. I used the free trial version, but the paid version is only $19.99, the least expensive renderer I've seen. And the photo area works right inside SketchUp, in real time. 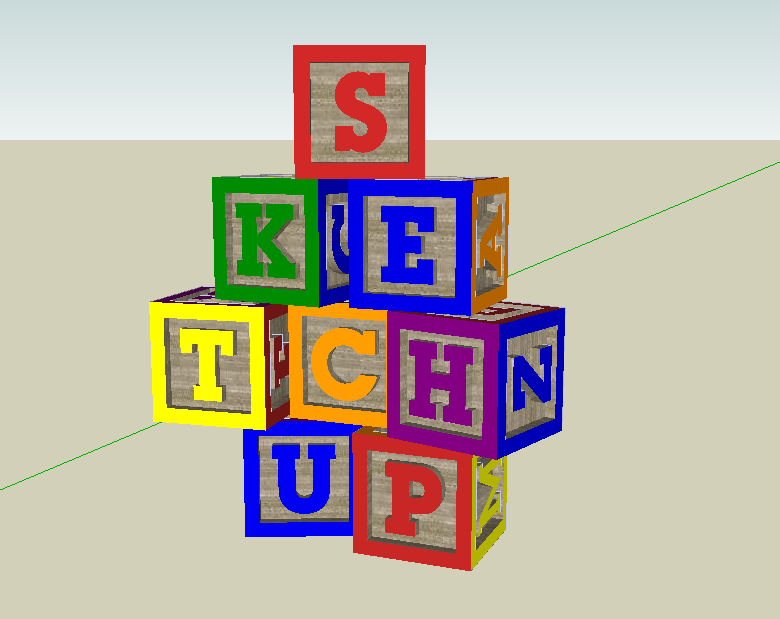 Here's the first example I tried - a SketchUp model of a simple set of toy blocks I downloaded from the 3D Warehouse. 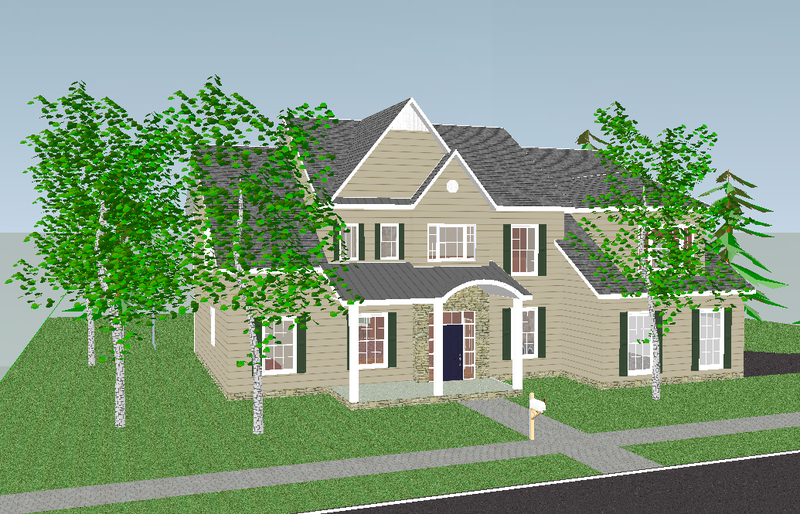 As always, the model has a cartoon-like feel in SketchUp, even with edges turned off. 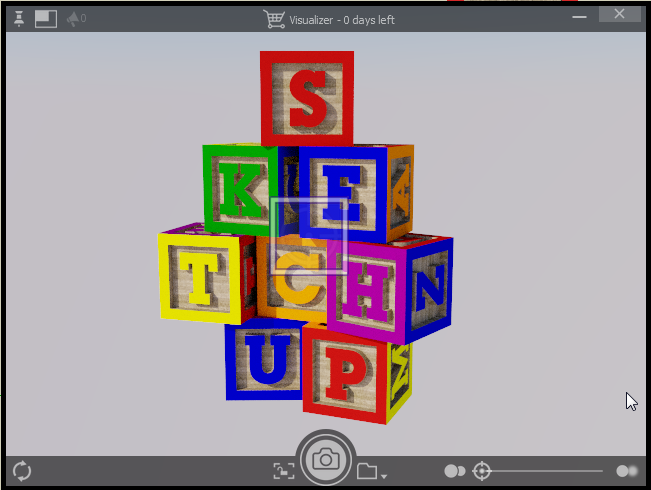 Click the icon, and the photo area appears right on top of the SketchUp window. (The Visualizer actually appears above ALL windows, until you minimize it.) This simple model took only a few seconds to cycle through the levels of pixelation and the result is pretty sharp - the rendering does indeed have a rather photo-like feel. You can change the view in SketchUp and the rendering will update as well. 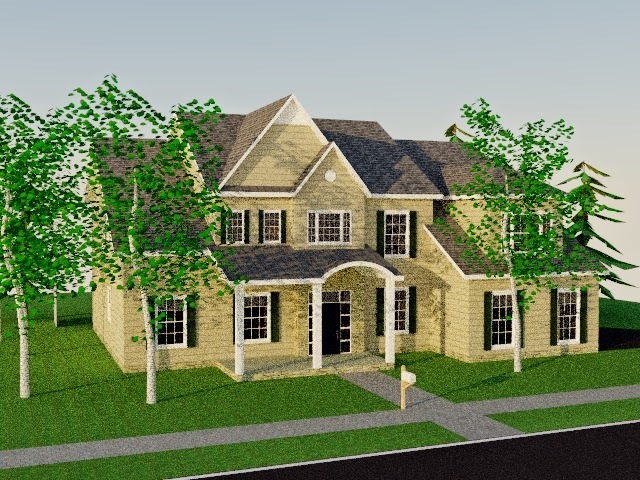 Though for a complex or heavy model the rendering takes time, so there is an option to lock the image until you're ready to "take the photo." To save a rendering, you just click the large shutter icon at the bottom center. Here's the next one I tried, a house with trees. And here's the render, which took about two 2 minutes. It's hard to see in this image, but there is still some grainy pixelation, particularly in the shadowy areas, but for a presentation this makes a lovely image, complete with realistic-looking shadows. 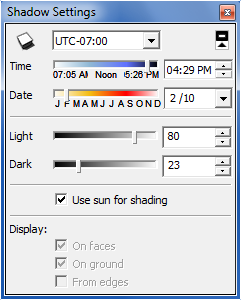 The shadows are controlled by SketchUp's Shadow Settings window (Window / Shadows), where you can set the time of year and day. The image above is mid-day, full sun, and I wanted to try a darker time, like a winter afternoon. Another nice feature is focus. At the lower right is a slider to control the background blur, and the "bulls-eye" icon on the picture itself sets the center of focus. So I was able to focus on the front door while leaving the farther parts of the house, including the trees, a bit blurry. 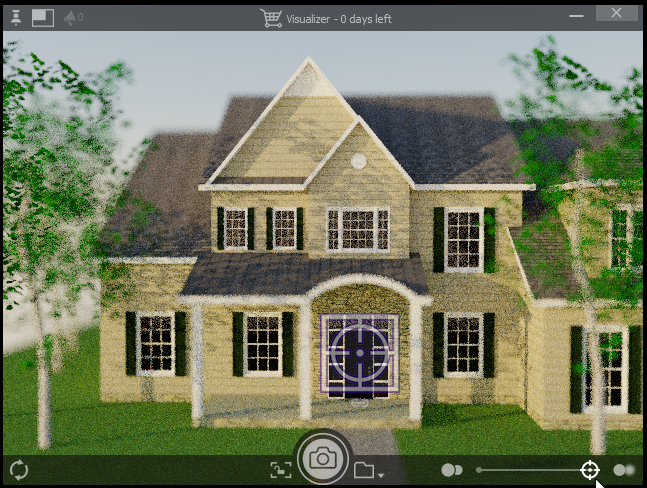 So if you're looking for an easy to use rendering application that won't set you back and cost hours of training, Visualizer is a good one to try!